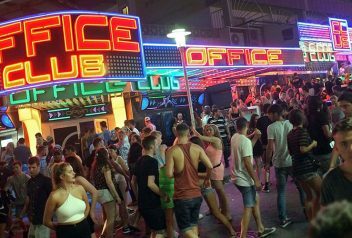 Who better to give you the latest Majorca news on the strip, nightlife, clubs and bars than the people who work and party there every night. We’ll be bringing you regular stories, videos and photos from our parties that run throughout summer in Majorca so you can be sure to see what you’re missing by not being onboard this summer 2017! Because we’re a party orientated site you’ll also be getting latest videos and stories of our parties that have been taking place around Majorca! So, if it’s news about a Majorca beach party, prices on the main strip, what the weather will be like in Majorca this May or just general crazy stories from the Majorca nightlife you can be sure we’ve got something to keep you interested. Check out our latest Majorca news stories and be sure to visit back regularly to see more! In what many are calling a sabotage of local businesses Calvia town hall has decreed that all venues that play music or live events must install noise limiting devices that automatically turn the music down. 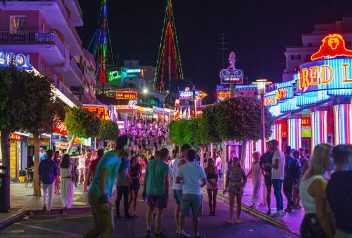 The Magaluf strip is the main party road in Magaluf packed with hundreds of bars and clubs that has seen some wild antics over the years. This article looks at the strip, its history and what you can expect to see there.